In between 2007 and 2010 She investigates about familiar rood ancestors and the ways to connect photographs, body and objects in a ritual-art. 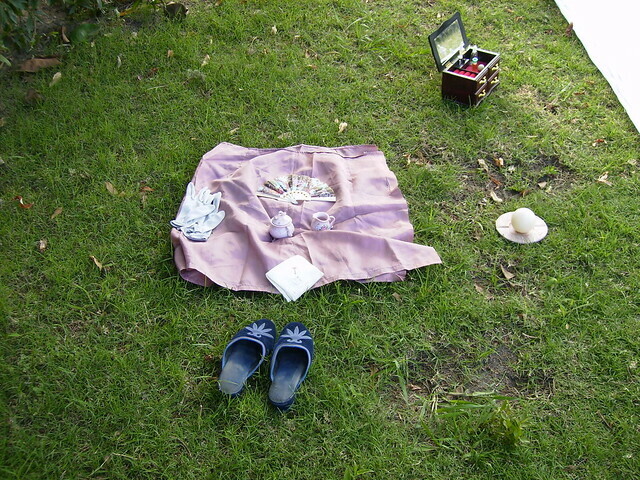 She did in Argentina a serie of Installations in honor of her grandmother. Objects and photographs that she selected after her death, which she putted into action in the garden of her childhood and adolescence house, where all members of her family were invited to this installation to recreate like a genealogical tree a live ritual. Then together with the poet Sohar Villegas (http://vibraelevarte.wixsite.com/sohar), in Goya Gallery, Málaga, they work in a poetic visual installation, Including poetic fragments of the poet along with drawings in ink made in the wedding cards of the artist’s parents. During her Studies of Fine Arts in National University of Cuyo in Argentina, she did sculptures and installations using different materials like, metal, clay, glass, crystals, wood. She explored the possibilities of each material combining them together or separated into almost elemental or geometric figures creating an energetic-code-object with a magical-spiritual utility. She also explored into the experimental paint, ink draw, xylography, aquatint and etching.